Enjoy the benefits of having a professionally maintained lawn from Little John's Lawns. We are not the typical lawn mowing contractor, we hire professional lawn and landscape specialists that are uniformed and will arrive on time in a company branded vehicle so you will know who is on your property. Call us today at 480-264-5399 to experience the positive difference of working with a professional lawn mowing service. To keep your lawn looking thick, green and healthy it is important to mow your grass on a regular basis. In addition to mowing, changing directions each time will help keep your lawn looking healthy, rut-free and the best on the block. We blow off your driveways, sidewalks, and patios. This service is provided by the exceptional staff that takes pride in your grass looking the best it possibly can. We always go above and beyond! It doesn’t stop with just mowing your property, we make sure that the equipment that we use at your home is maintained on a regular basis. We believe it is important to keep our equipment running properly so that our staff can do an efficient job in a safe environment. We change our blades and wash our mower decks out daily to ensure that our mowers cut, not tear, your grass. Torn grass can lead to infectious diseases. 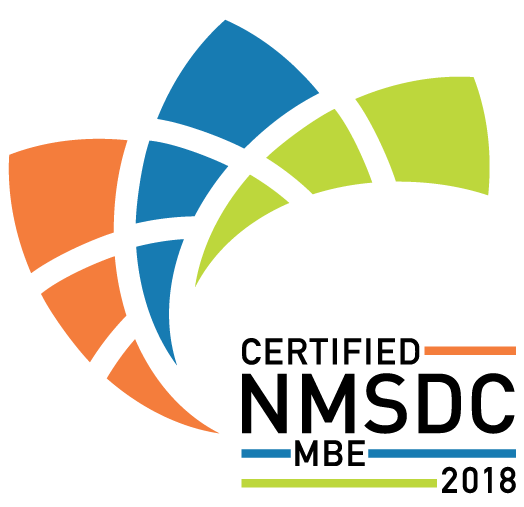 Visit our reviews page and discover how our professional lawn mowing services have helped keep your neighbors in Gilbert, Chandler, and Mesa Arizona grass looking great. For those wanting landscape that looks perfect all the time, this is the choice for you! Each service you will have one of our trained crews arrive at your home on your scheduled day and that same crew will return each week. The crews will have your shrubs on a trimming rotation to promote natural growth. Trees will be lifted up six to eight feet from the ground so there is no restrictions from walking underneath. If there is additional tree work that needs to be done the crew will send a notification to the office and they will reach out via email to provide recommendations. We will blow out your yard free of debris and spot spray your weeds as needed. We will rake your granite, mow & edge your grass, along with blowing off your patios, driveways and sidewalks. If by chance the crew that is servicing your property finds an irrigation leak or a broken sprinkler, they will notify the office right away so we can make contact with you and get the problem resolved with one of our trained irrigation technicians. To keep your lawn looking thick, green and healthy it is important to mow your grass on a regular basis. In addition to mowing, changing directions each time will help keep your lawn looking healthy, rut-free and the best on the block. We blow off your driveways, sidewalks, and patios. This service is provided by the exceptional staff that takes pride in your grass looking the best it possibly can. We always go above and beyond! It doesn’t stop with just mowing your property, we make sure that our equipment, that we use at your home is maintained on a regular basis. We change our mowing blades and wash our mower decks out daily to ensure that our mowers cut your grass, not tear your grass. By having dull blades on the mowers it tears your grass which can lead to infectious diseases. It is important to keep our equipment running properly that way our staff can do an efficient job in a safe environment. This is, by far our most popular service we provide. Each service you will have one of our trained crews arrive at your home on your scheduled day and that same crew will return every other week. The crews will have your shrubs on a trimming rotation to promote natural growth. Trees will be lifted up six to eight feet from the ground so there is no restrictions from walking underneath. If there is additional tree work that needs to be done the crew will send a notification to the office and they will reach out via email to provide recommendations. We will blow out your yard free of debris and spot spray your weeds as needed. We will rake your granite, mow & edge your grass, along with blowing off your patios, driveways and sidewalks. If by chance the crew that is servicing your property finds an irrigation leak or a broken sprinkler, they will notify the office right away so we can make contact with you and get the problem resolved with one of our trained irrigation technicians. To keep your lawn looking thick, green and healthy it is important to mow your grass on a regular basis. In addition to mowing, changing directions each time will help keep your lawn looking healthy, rut-free and the best on the block. We blow off your driveways, sidewalks, and patios. This service is provided by the exceptional staff that takes pride in your grass looking the best it possibly can. We always go above and beyond! It doesn’t stop with just mowing your property, we make sure that our equipment, that we use at your home is maintained on a regular basis. We believe it is important to keep our equipment running properly so that our staff can do an efficient job in a safe environment. We change our blades and wash our mower decks out daily to ensure that our mowers cut, not tear, your grass. Torn grass can lead to infectious diseases. 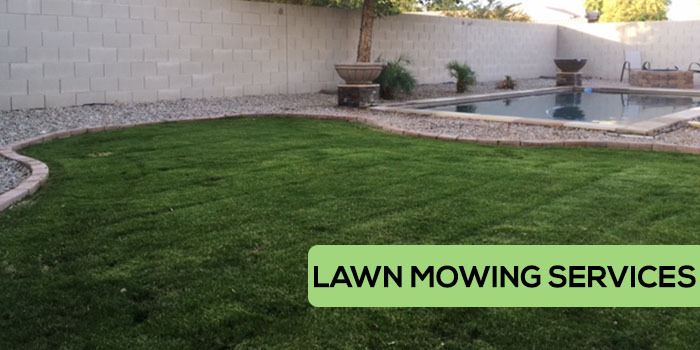 Discover the difference that comes with working with a professional lawn mowing service like Little John's Lawns by calling 480-264-5399 today.